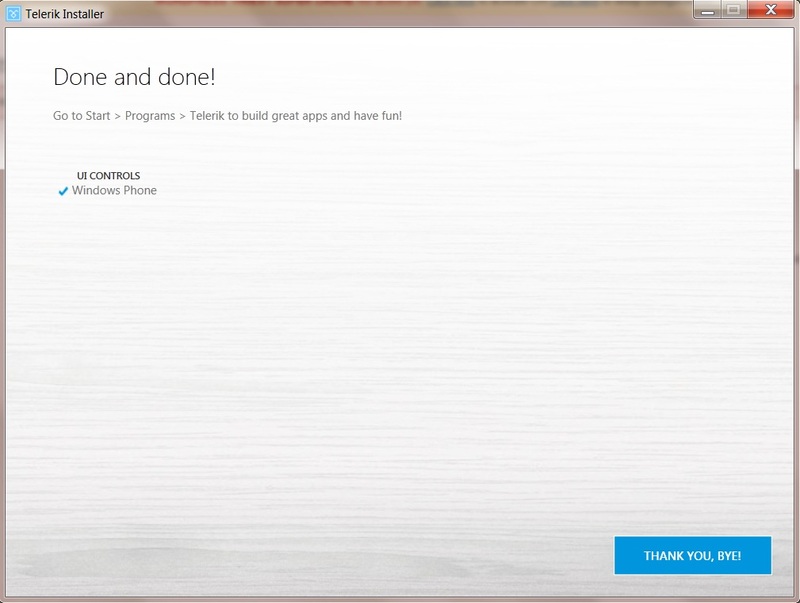 Telerik RadControls for Windows Phone – Article #2 – How to add controls to Visual Studio 2010 toolbox ? RadControls for WP7 from Telerik enables the Windows Phone developers to create beautiful and powerful Windows Phone Apps easily. 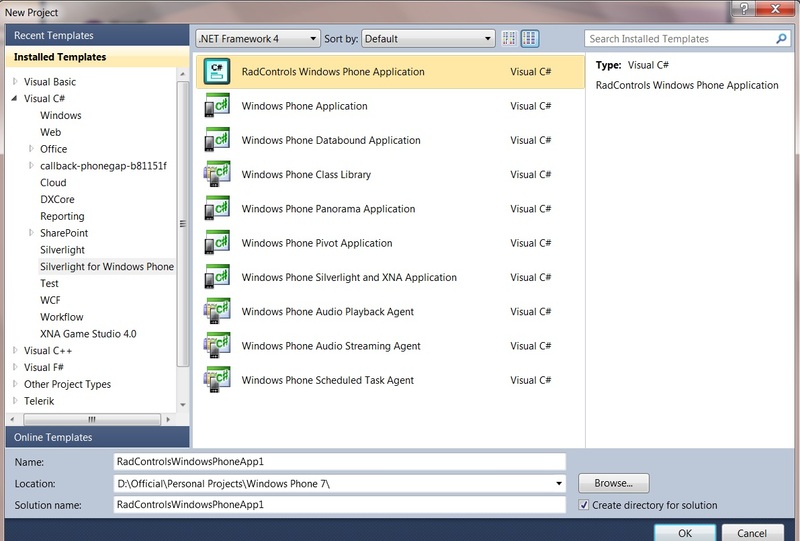 RadControls for Windows Phone offers additional controls and its capabilities for the Windows Phone 7 development. Getting started with the RadControls for Windows Phone is pretty easy. Just download the trial version of RadControls for WP7 setup file from Telerik’s website and follow the installation steps below. 2. Select the Option “Windows Phone” from the UI Controls section and then accept the License Agreement and click the button “OK, Let’s Do This”. 3. 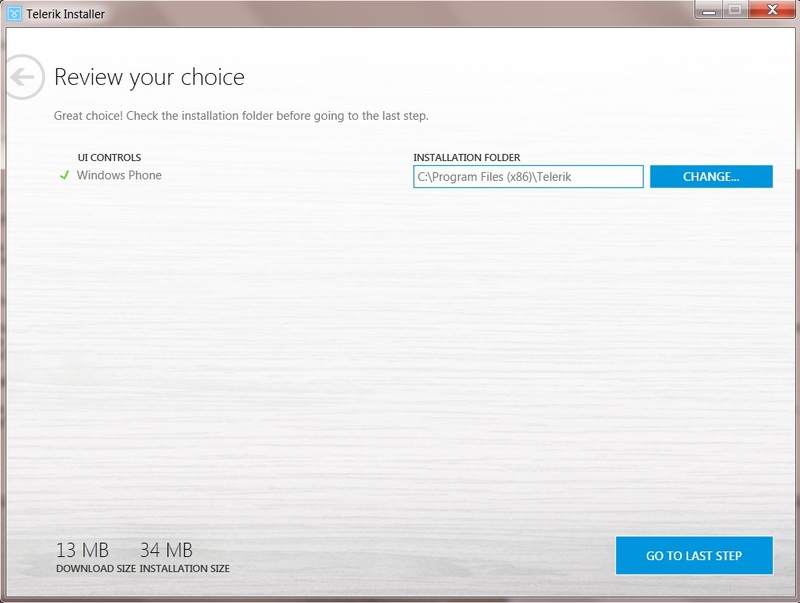 Change the Installation folder if necessary and click the button “Go To Last Step” . The download size of the Telerik RadControls for WP7 is about 13 MB. 4. Enter your Telerik Account credentials and click the “Install” button. If you don’t have an account, you can sign up in the same page. 5. 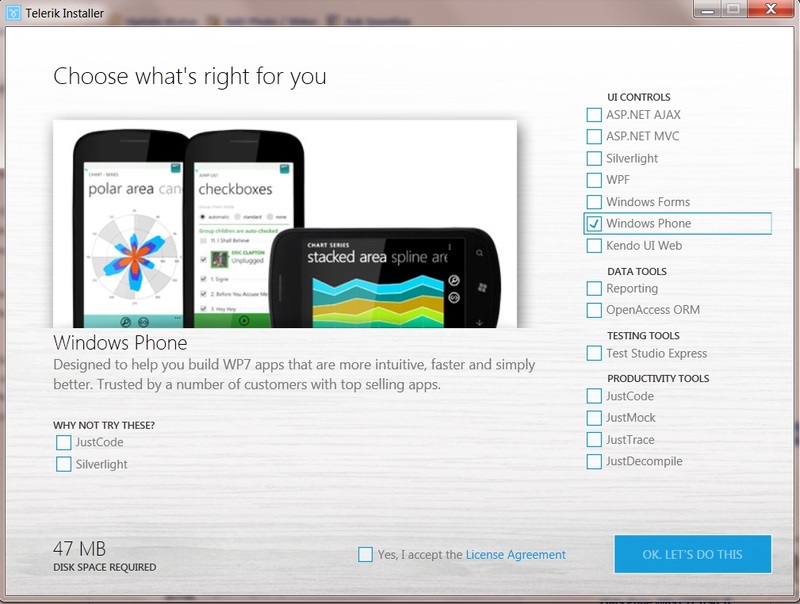 The RadControls for WP7 will be downloaded and installed in some time. 7. 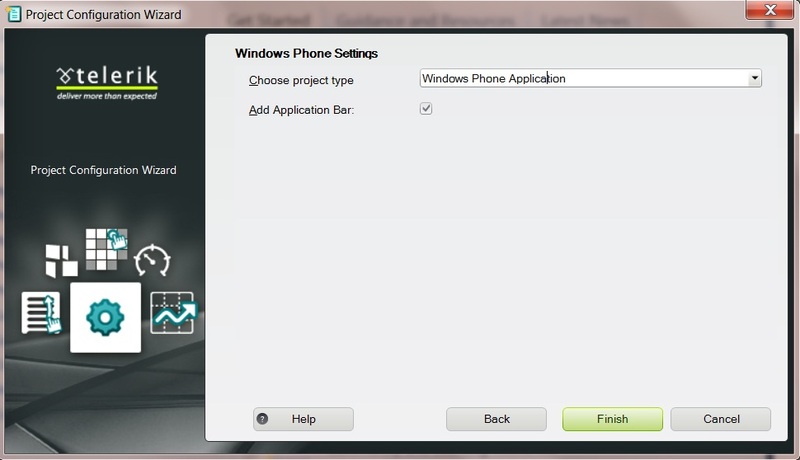 Now , launch the Visual Studio 2010 and try creating a new Windows Phone Project . You should see the RadControls Windows Phone Application template. 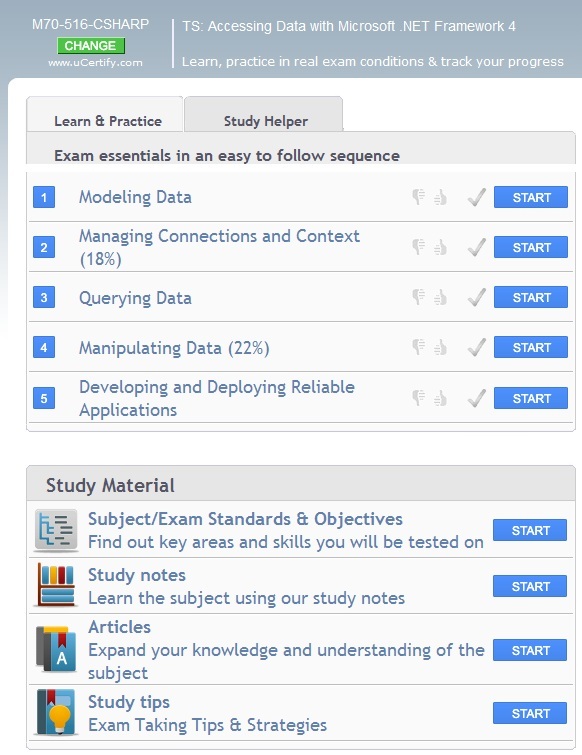 Select it and Click OK.
8. 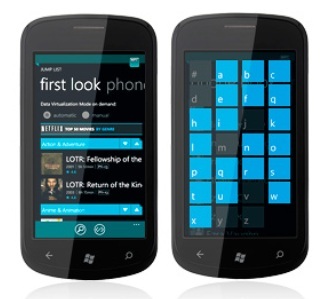 Select the targeted Windows Phone Version (7/7.1).